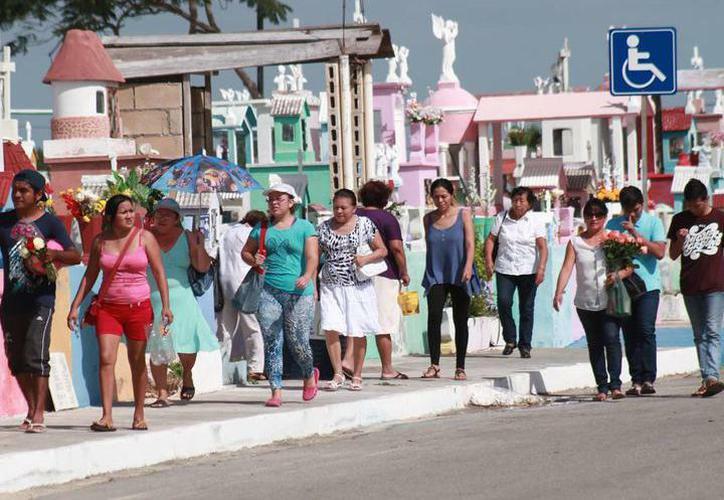 This “Semana Santa” it’s not only Mérida and Chichen anymore… tourists are all over the state! Mexico is making a big effort to stop the flow of Central Americans trying to reach the United States, and has dramatically cut the number of child migrants. But it is unclear for how long federal officials will keep up the raids. A federal police officer said his group was told they would be stationed in southern Mexico for six months. The officer spoke on condition of anonymity because he isn’t allowed to talk to the media. 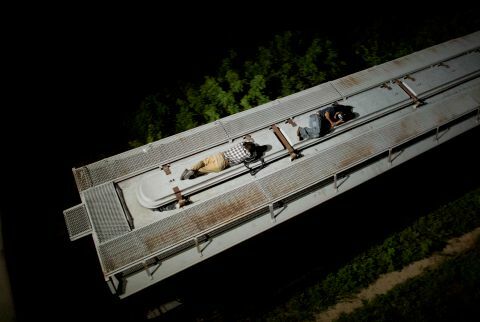 Convoys of Mexican federal police and immigration service employees in southern Mexico have been scouring the tracks of the infamous freight train known as “La Bestia,” or The Beast, that has long carried crowds of migrants on its lumbering route north. They have also set up moving roadblocks, checking the documents of passengers on interstate buses. Associated Press journalists witnessed dozens of federal police and Mexican immigration agents storming the train as it came to an unscheduled stop in the post-midnight darkness Friday. “We’re federal agents! Give up! You’re surrounded! Come down carefully!” the lawmen shouted to the huddled, stunned migrants. Fewer than 15 were detained on a train that once carried 600 to 1,000 migrants at a time. American and Mexican officials say they are noticing the same drop-off all along the route. On Aug. 7, the Department of Homeland Security released data showing the number of unaccompanied children and children traveling with a parent arrested along the Southwest border of the United States in July was roughly 13,000, half what it had been in June. DHS Secretary Jeh Johnson said the trend appeared to be continuing during the first week of August, and Obama said Thursday that numbers for the whole month will show a further decline. “We’re seeing a significant downward trend in terms of these unaccompanied children,” Obama said in a news conference. With the new crackdown, the migrants who once circulated openly in shelters and boarded the cars as they were being attached to the locomotive are forced to hide in the woods, where criminals lurk. There are few women and no children because the journey now requires jumping a moving train. “They’re also going after the coyotes, so it is increasing the cost of the trip and making them move through less visible areas,” Solis said, referring to the smugglers paid to get migrants through to the U.S. border. It is a far cry from the wave of migration that pressed toward the U.S. earlier this year, spurred on by a surge in violence in several Central American countries and news that women and children who reached the United States were being let go inside the country with orders to return for immigration hearings because family shelter space had filled up. From October to July, about 63,000 unaccompanied children were detained after entering the U.S. illegally, double the number from the same period a year earlier. Another 63,000 families — mothers or fathers with young children — were picked up during that period. There were no Central American children in the government shelter in Reynosa, across the border from McAllen, Texas, coordinator Jose Guadalupe Villegas Garcia said Thursday. During the surge, at any one time the shelter housed about 15 Central American kids who had been apprehended or rescued by Mexican authorities before crossing the Rio Grande. Officials say the children are being caught long before they get to the border. “There are very few foreigners,” said Carlos Jimenez, a spokesman with the Mexican family services agency in Reynosa. “We received three or four children” in August. Omar Zamora, a Border Patrol spokesman in the Rio Grande Valley, where most of the unaccompanied children have entered the U.S., said Thursday that the agency was seeing about 30 to 40 children in custody each day in recent weeks. That is down from a peak when 300 or more were arrested in a day earlier this summer. How long Mexico can or will sustain such a massive operation is unclear. 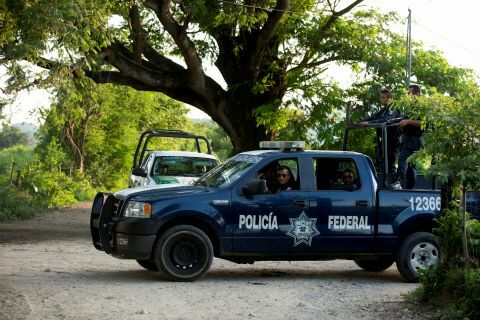 Sealing off the notoriously porous border with Guatemala is neither physically possible nor politically popular, and strict enforcement further inland is already drawing criticism, because it so closely mirrors the deadly cat-and-mouse game that U.S. border patrol agents have long played with Mexican migrants farther north. But for now, the effort shows no sign of abating. 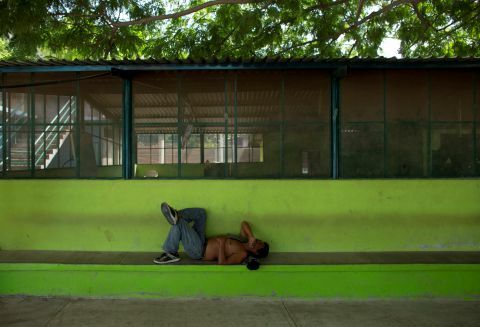 Criminal gangs who used to prey on migrants on the train, threatening to throw them off unless they cooperated, are hiding in the woods near the highway checkpoints where immigration officials search passing buses, said Aliver Leon Lopez, 29, of Ahuachapan, El Salvador. He was shot in the neck by a band of thieves because he tried to hide his money from them. Faced with the nearly overwhelming obstacles in reaching the United States, Leon Lopez and others say they are giving up, at least for now. He plans to apply for a humanitarian visa available in Mexico to those who have been crime victims. Other migrants talked about finding work in Mexico, rather than the United States. “Before you could get through more easily,” said Abner Ramirez, 30, a coffee picker from Coatepeque, Guatemala, who was sleeping on the side of the railway tracks in Chahuites after fleeing another raid on the train over the weekend. “If I can get a steady job, a steaady paycheck, I’d stay … to send money back home,” he said. Juan Antonio Salmeron, a 48-year old construction worker from La Union, El Salvador, said he wants to work in the northern Mexico state of Sinaloa, picking fruit or vegetables. “You can earn good money there,” Salmeron said.